Democrats say sidestepping the three-member Board of Public Works removes the politics from school construction. Instead, the authority to approve construction funding will go to the Interagency Committee on School Construction, known as the IAC. The IAC currently gives recommendations to the Board of Public Works. The legislation makes it an independent commission under the State Department of Education’s umbrella. “The Board of Public Works has been political since its inception,” said Sen. Bill Ferguson, a Democrat who represents South Baltimore. He referenced a 2003 article in The Baltimore Sun. 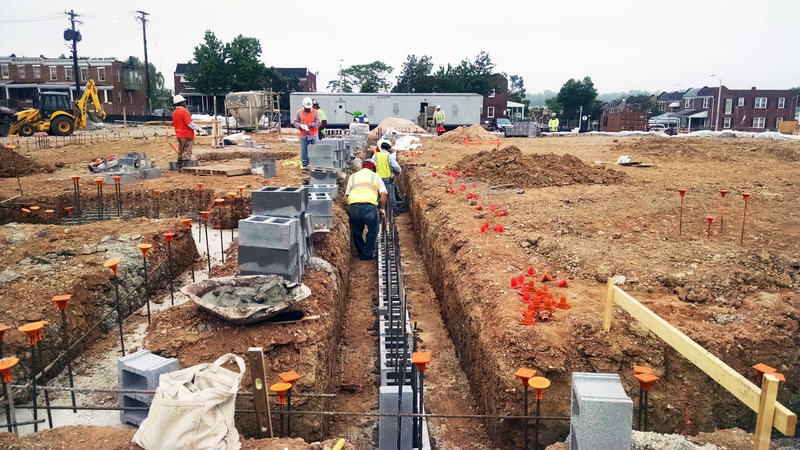 The school construction process gained attention more recently when the Board of Public Works — specifically Hogan and Comptroller Peter Franchot — voted in May 2016 to withhold school construction funding from Baltimore city and county over air conditioning in schools. The head of the IAC at the time, David Lever, resigned over the action. The IAC makes its recommendations based on local school boards’ priorities, he told WYPR in an interview at the time. “Intervention by the state in telling the local boards what projects to submit, the kinds of projects, the scopes and so forth, the priority, is really an intervention into their educational programs,” he said. When Hogan vetoed the bill Wednesday, he criticized the IAC members as political appointees who aren’t accountable to voters. “This bill, if allowed to become law, would be an unmitigated disaster for our state, which would create a disgusting cesspool of cronyism and corruption in the school funding process,” he said. 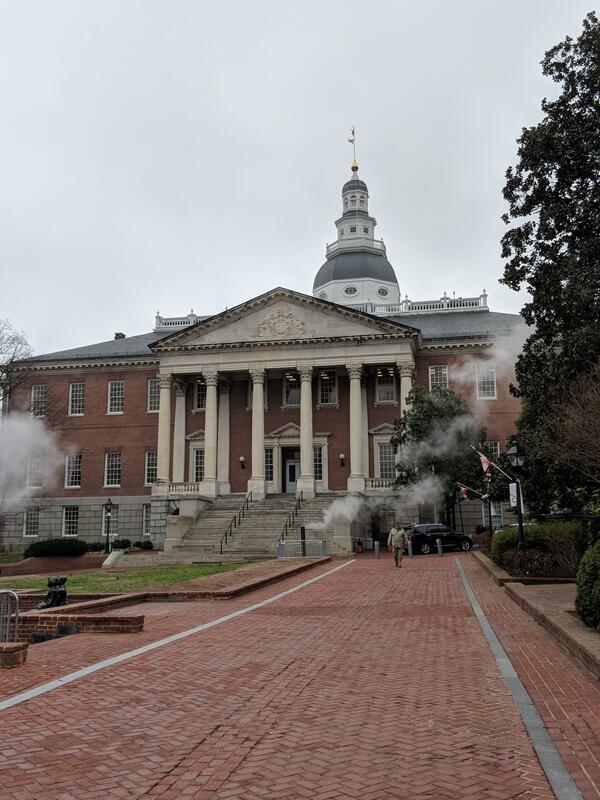 Republican legislators echoed Hogan’s concerns Thursday. Senate Minority Leader J.B. Jennings, who represents Baltimore and Harford counties, accused Democratic senators of using the bill to target political opponents. “You know, we’re, what, 40 miles away from Washington, D.C.? And D.C. has come to Annapolis on this bill,” he said. On the other hand, House Majority Leader Bill Frick, from Montgomery County, said removing power from the elected officials and giving it to the appointed members of the IAC could lead to apolitical decision making. The bill’s scope actually extends far beyond the Board of Public Works. When it was initially introduced, the bill reflected the findings of a commission that spent two years studying the school construction funding process and looking for improvements. It was considered to have bipartisan support. Several legislators on both sides of the aisle criticized the changes to that original bill. For example, he said, the bill encourages public-private partnerships as a means of repairing and building schools. It also allocates $400 million for school construction annually, and $10 million for school safety improvements, such as lockable classroom doors and surveillance equipment. Baltimore’s billion-dollar, 21st Century School Buildings plan sounds ambitious enough to begin with; renovate and rebuild nearly two dozen schools over the next five years. But there’s more to the program - it’s also creating learning environments that will incorporate natural light, better acoustics and malleable learning spaces. Baltimore’s school system has embarked on an ambitious project to renovate, replace and combine dozens of the oldest schools in the state over the next four years. The $1 billion effort aims to shutter and combine dozens of schools and renovate or replace at least 23 – all by the spring of 2021. A 2012 report by the Jacobs Project Management Company, a consulting firm, found that 85 percent, or 138 of the schools are in “poor” or “very poor” condition.